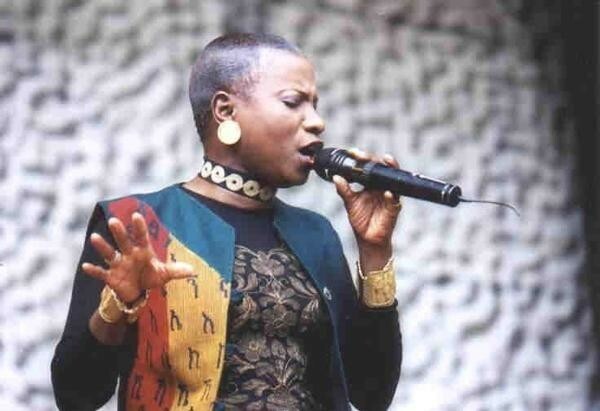 In the world of international music the name of the Beninoise superstar Angélique Kidjo ranks high in the consciousness and affections of music lovers with a career spanning four decades to date. Her latest album "Oyo" (Sept 2010) features collaborations with John Legend and Bono (both on a reworking of Curtis Mayfield's "Move On Up", as well as Diana Reeves and Roy Hargrove. "Born in Benin (West Africa), Angelique Kidjo is a Grammy award-winning music recording artist deemed "Africa's premier diva" by Time Magazine and the moniker speaks accurately to the singular career and life she has forged. Like Miriam Makeba was before her, Kidjo is the continent's most internationally celebrated female musical exponent. . Her repertoire includes collaborations with various recording artists such as Carlos Santana, Peter Gabriel, Alicia Keys, Josh Groban, Branford Marsalis, Joss Stone, and many more. Known for her dynamic and uplifting music, she has translated her distinctive work in the arts to that of philanthropy; by promoting education for girls in Africa through her foundation, Batonga and as a UNICEF Goodwill ambassador Kidjo travels the world to inspire and empower." Now based in New York, Angelique is currently preparing to headline the Carnegie Hall for the first time as part of its 2010-2011 “Around the Globe” concert series. Kidjo will present “The Sound of the Drum,” (Thursday, November 11, 2010), a tribute to the African roots of the music of the Americas. Joining Kidjo for this historic event will be legends Youssou N’Dour, Omara Portuondo, Dianne Reeves and more guests to be announced. "The songs on OYO embrace rhythm & blues, soul music, jazz, and Beninese melodies, as well as a trio of her own original works. West Africa, in the '60s, had an omnivorous appetite for international pop music, and Kidjo was intensely familiar with the music of James Brown, Otis Redding and Carlos Santana, as well as Miriam Makeba and Bella Bellow before she reached her teens. Curtis Mayfield's "Move On Up," which she sings in a duet with multiple Grammy Award-winning singer John Legend epitomizes her affection for that music. Kidjo and Legend, backed by a spirited chorus and riffing horns, sing "Move On Up" as a call to African youth to direct the fate of their continent. But the closing piece she selected for the album traces to even earlier memories. Kidjo was only six years old the first time she sang in public, and the song was "Atcha Houn," a traditional melody she describes as "a kind of parade music people sing when they gather together." 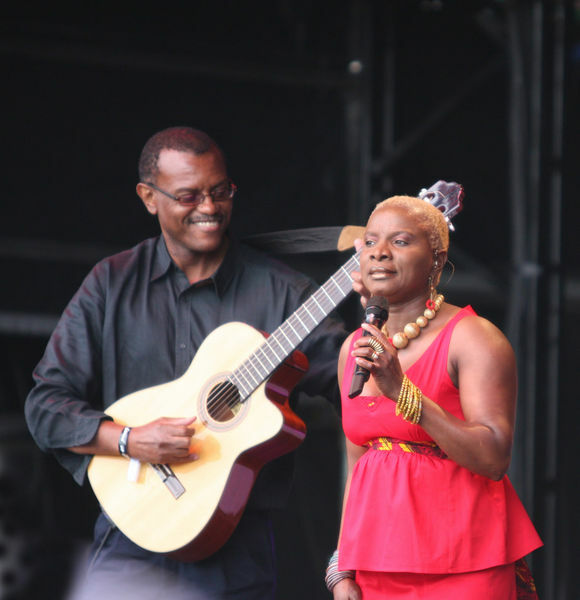 Kidjo was delighted to have the superb guitarist/singer, Lionel Loueke -- also a native of Benin -- backing her on "Atcha Houn," as well as numerous other songs on the CD. "Lionel understood exactly what I was trying to do when I told him I wanted to get into the music that influenced me as a child."